A clan of glowing Blobs huddle in the dark, armed and scared. Creatures approach from the darkness. Are they friend or foe? 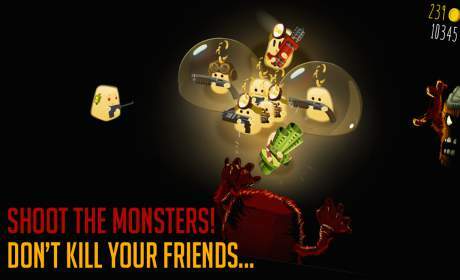 Shoot the monsters before they snap up the members of your group. React quickly, but be careful — don’t shoot your friends! • Classic shooter format. No tedious tutorial, simply jump right into the action! • Are you the hunter or the prey? Test your shooting skills in this pulse-pounding dark limbo environment! • Think fast, act fast! 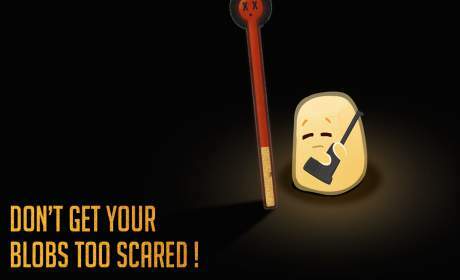 Test your skills and your reflexes to their limit! 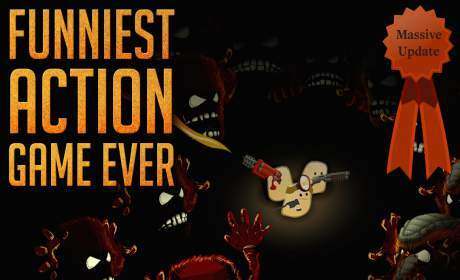 • Compete with your friends to achieve monster killing glory! • Cute blobs stuck in monster limbo…horror gaming at it’s finest!